I hope my teaser posts have you excited, because the next couple weeks will be filled with reselling tips, guides, and deals. I was a complete novice at reselling in March. I only started to add a little more spend on my credit cards and increase my stash of points. Now, however, it’s turned into something I could see myself doing for a living. I’m not at that point yet, but I hope to be eventually. I plan on documenting my reselling journey via intermittent posts, and on my monthly income reports. 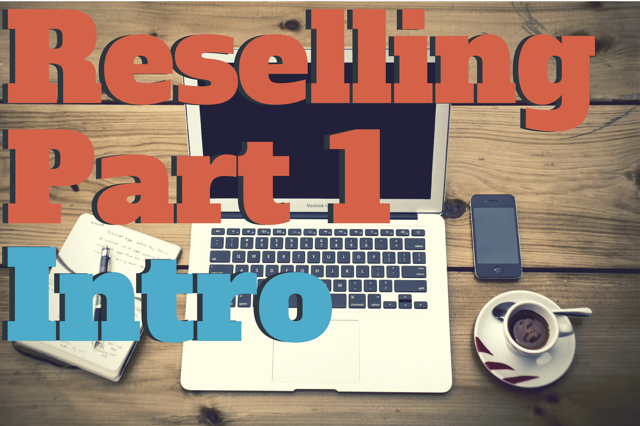 Are you ready to learn the basics of reselling? In short, reselling is exactly what it sounds like; you re-sell. in long (is that a phrase? ), A store or wholesaler sells you an item that you turn around and sell to a consumer, but you knew that right? Good. Reselling isn’t a get rich quick scheme. It requires a lot of work and dedication, but once you get the hang of it, it can be very profitable (and it gets easier as you go). Simple, you buy low and sell high. The only problem is most stores tend to be similarly priced. The trick is to use coupons, deals, gift cards, and pixie dust. Well I guess you don’t NEED pixie dust, but I’m sure it would help. Coupons: Let’s say you have a coupon for $25 off $75 at Staples. That’s a pretty common coupon that you can buy for $3.49 from online retailers, so for this example we’ll say you bought the coupon. At the time of this writing there was an external hard drive selling for $129.99 at Amazon and $119.99 at Staples (see below). Now we’ll add 5% cash back in staples rewards and 5% cash back through a portal (UPromise and ShopDiscover) to the equation. Isn’t it fun to see the price continue to drop? I sure think so. The final step is to add credit card/gift card discounts to the mix. The three best options to use at Staples are: an Ink Bold/Plus (5X UR points), a 5% discount on a gift card via Gift Card Granny, and an Amex SimplyCash (5% cash back). If you don’t have either credit card, I would suggest buying a discounted gift card. with an Ink Bold: $94.55, but you get 522 UR points as well. Here’s how much you would make selling it at the current Amazon price using Fulfillment by Amazon and using merchant fulfillment. As you can see, selling the hard drive via FBA would make more money, so that’s what we will calculate into this equation. with an Ink Bold: $18.45 + 522 UR points. This product isn’t a huge money-maker, but it is profitable which is exactly what reselling is when you do it right. I spent about 5 minutes looking for a profitable hard drive to use in this post and I would say $23.67 for 5 minutes of my time is awesome. That works out to $284.04 an hour! That’s a great question. Frankly, most people don’t want to put in the effort. It’s very time-consuming and requires a lot of research, but after a while it becomes almost second nature. That isn’t to say there’s not much competition, because there is. There just happens to be more consumers than resellers, meaning once you find a niche category there’s still room to profit. Reselling and manufactured spending go together like bread and butter. They taste work well by themselves, but together they’re perfect. For example, reselling to hit minimum spending requirements is a great way to add non-MS transactions to your credit card. It’s not 100% necessary to do this, but adding real transactions doesn’t hurt. In fact, Reselling and MS are basically the same thing in the sense that you aren’t spending much if any actually money. You’re simply borrowing the money from your credit cards to earn points or money, yet you’ll have the money to pay the card off pretty quick. That depends if you want to source product online or in-store. If you want to source online, all you will need is a computer and some time. If you’re sourcing in-store you’ll need a car on top of the previously mentioned items. I’ll get more into sourcing in the coming posts, but for now check out SlickDeals, FatWallet, Big Habitat, My Deals Page, and Frequent Miler’s Quick Deals for great deals that you can use to resell items. Create an Amazon Seller account, eBay account, Craigslist account, and Paypal account if you don’t have them already. 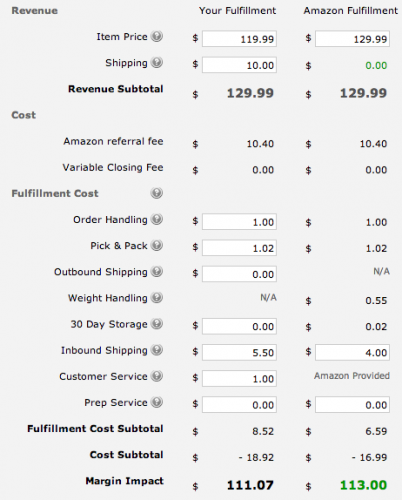 Bookmark the Amazon FBA calculator page and Camel Camel Camel. Trust me you’ll need them. Download the following apps on your phone: Amazon, Profit Bandit, and eBay. Again, I’m pretty sure you’ll want all three of these. Download PriceBlink for your browser. This extension checks whatever product you’re looking at, at multiple stores to find the best price. My next reselling post will be about sourcing product. Check back next week!